On September 23, 2016, Canadian pop singer, Shawn Mendes, released his highly anticipated album, Illuminate. With this record, the 18-year old reached No. 1 on Billboard’s Social 50 chart for the first time. 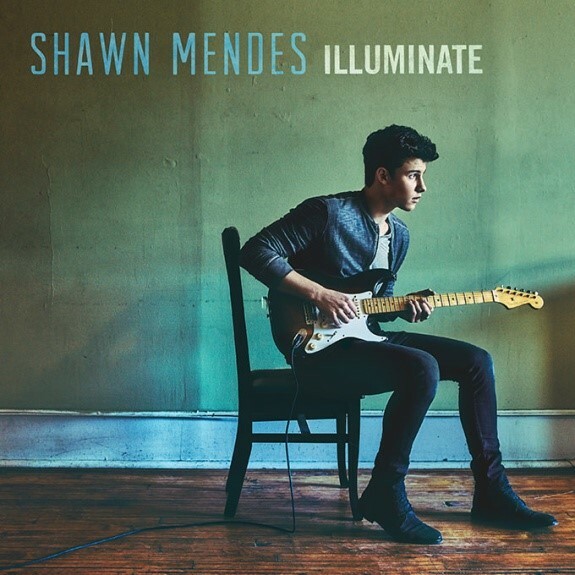 Illuminate also sold about 119,285 copies in the United States during its first week in stores, and it is rising to No.1 on the Billboard 200 chart, which Mendes’ debut album, Handwritten, reached in 2015. The track list is a compilation of twelve songs including Mendes’ hit singles “Treat You Better” and “Mercy”. The deluxe version of the album includes three extra songs – “Hold On”, “Roses”, and the acoustic version of “Mercy”. While many of the tracks are heart wrenching ballads such as “Like This” and “Ruin”, others are more upbeat such as “Honest”, “No Promises”, and “Lights On”. Mendes inspires with “Understand” and “Hold On” and brings an old school element to his music with “Don’t Be a Fool”. Mendes’s new record displays his growth and maturity since his debut, but still contains the relatable lyrics and unique melodies his listeners love. Additionally, all physical copies of Mendes’ record include a code to enter his Illuminate Sweepstakes. Winners will receive either a trip for a Golden SHAWNACCESS Pass Experience in 2017, a signed guitar, a personalized album plaque, a phone call from Shawn, or a signed polaroid. The Illuminate World Tour kicks off on March 18, 2017 in the Philippines and US tour dates start on July 6, 2017 in Oregon. Mendes will also be performing in Australia this coming November. With a new album, a new headlining tour, and a constantly growing fan base, things are looking up for Shawn Mendes.